Another beautiful day at N. Sanity Beach! Eagle-eyed readers will notice something special about this Pause Menu. Time Trials in all three games! The competition for relic times on our team is fierce! 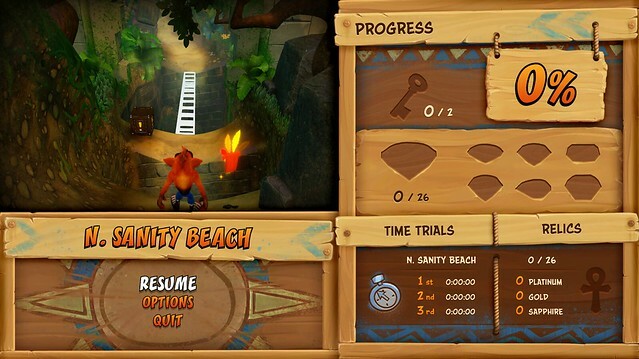 These aren’t the only new features for the N. Sane Trilogy. However, that’s all we’re going to share for today. Okay, maybe one more peek. Seriously, though, there’s no time for more. We have to get back to work making the game. (Naughty Dog packed so much gameplay into those original PlayStation CDs!) We hope you enjoyed this taste of the Crash Bandicoot N. Sane Trilogy, and we’re excited to share more with you soon! Will this be a physical release? What I want to see and have always wanted since all three Crash PS1 games was on PS3 is love shown towards the PS2 Crash Bandicoot games. I would love to see more Crash games come to us in the future. There will be a physical release! If you go to http://www.crashbandicoot.com and click on Pre-Order on the top right corner, you can see the box art and select a country/retailer you’d want to pre-order it from. I hope this is a physical release. I also agree about the PS2 era games (not all were good though) I would love to see The Wrath of Cortex get remastered. It was good but the loading times were horrendous. Fix that issue and I’ll definitely buy it. I seriously cannot wait for this. I also hope Sony and Activision give the original Spyro trilogy the same treatment! 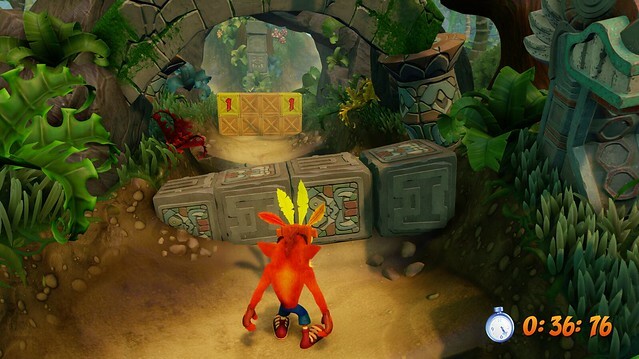 Imagine those beautiful remastered like these Crash games?! I love Crash’s in-game model in this! Will the visuals be touched up by release and will the soundtrack remain intact? I must have this… If they have a collectors edition with a cool statue of Crash I will pay anything for this masterpiece! I will buy even if they don’t have a collectors edition but it would be really awesome if they did, right? It’s a Sony franchise, so yes…. Sony doesn’t own it anymore though… Activision does. Unless Sony paid a lot of money for its exclusivity rights, which I think they’d do if they did it for Street Fighter 5 lol. The primary publisher to the PS1 games was actually Universal Interactive, with Sony (SCEA) only co-publishing. After the PS1 games, every single Crash Bandicoot title has been available on non-Sony platforms, and some titles even skipped the PlayStation 3. Through mergers and acquisitions, Universal Interactive and their IPs became part of Activision (which is now Activision-Blizzard). I highly doubt this trilogy will be exclusive, especially after seeing the copyright information at the end of the trailer. I seen something about a March 2017 release. 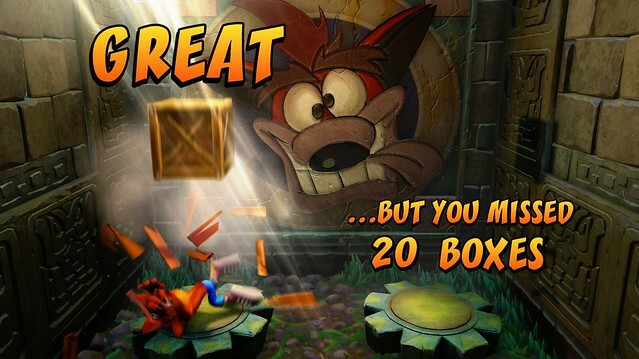 *sniffle* We want Crash on the Vita too! I hope this game does well enough for the Spyro trilogy to get the same treatment! I would buy both! Ditto! Spyro needs to come back! I would pay a couple hundred dollars to have Spyro get this exact treatment. I saw a website reporting that you can switch between the old and new graphics. Can you confirm or deny this? Care to provide a source? Activision posted a trailer on YouTube for those interested. It looks amazing! THANK YOU SO MUCH for bringing Crash back! 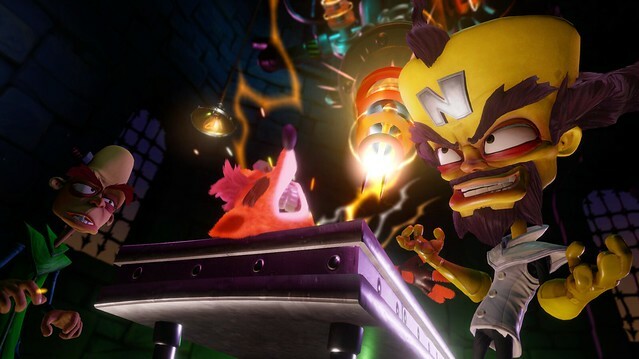 The trailer looks great, my only complaints are that Crash’s face looks a little weird (kinda like his Wrath of Cortex model), I think you should have reused his Skylanders model, but with a smaller head to match his classic proportions, and the floor in Temple Ruins looks weird, kinda like a placeholder texture. The cutscenes look gorgeous, though, and the music sounds pretty good (although I still wish Josh Mancell was involved). Please oh please give Spyro the same treatment! He deserves to have his own series back! One question: Is this game exclusive to the PS4? No, it is not exclusive and Sony cannot advertise it as such because that would be considered false advertising. Activision is the sole publisher and copyright owner to the trilogy. Expect it to release on Xbox One, PC, and Nintendo Switch. Please on Vita too. We got Classics like Sly, Ratchet and Jak. 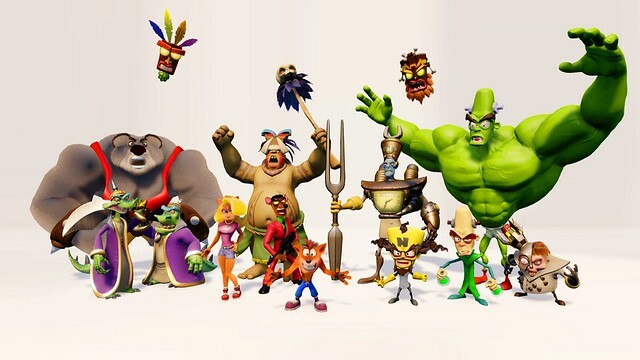 Crash deserves to be on the list too….along with Spyro( the one before Skylanders ruined him). Agreed! Or at least let us enjoy the classic PS1 versions, for goodness’ sake. :( Europe has had these games playable on the Vita for years now. Yes,definitely! Since we can’t play the original trilogy on the Vita nor Spyro,we need it there on the Vita! Vita all the way!! Please consider doing a “remaster plus” of Crash Team Racing (PS1) too! This!!! Crash Team Racing online would seriously be amazing! Is there a price yet? Yeah you can pre-order it on the store. $40. Hope all new crash team racing or a remaster is made. It’s still to this day one of the greatest games I played. But I want a new one, the way the items etc were in the first were perfect Imo. What I find interesting is that the trailers never say “Only On PlayStation”, and that’s probably on purpose. I get the feeling that Activision will want to bring this to Xbox One down the line. I know I know, the more gamers who can play it the better… but as a PlayStation fan, it just seems so wrong for Crash lol. No no the “the more gamers who can play it the better” crap don’t fit here.Crash is a PS franchise even though lame activision owns it now I really hope Sony worked up some contract with them to make it exclusive to PS forever.If this remaster comes to x-*** I may be so disappointed to the point of not buying day 1. For the ones after Bash, I don’t care. But the original 5 Crash games should always be PlayStation only. YES Crash Team Remaster Plus is all there is to make this remaster plus series a full circle!! Guys, make Collectror’s Edition or someting else. P L E A S E ! 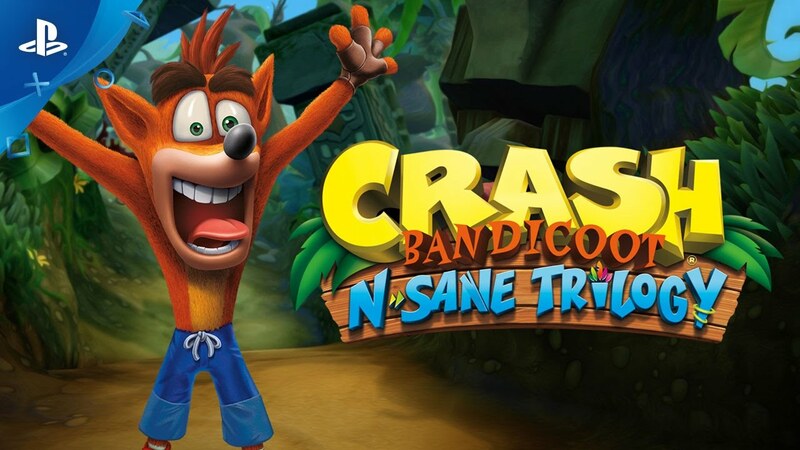 As a childhood fan of Crash Bandicoot i just wanted to say this remaster is everything i could’ve hoped for on a remaster of the three first games. This is basically my most anticipated videogame release ever and you’ve pulled it off perfectly, so i can only congratulate and thank the team behind this trilogy. I can’t wait to play this, please show us Crash 2 and Warped as soon as possible! Thank you for bringing Crash back! <3 Love the graphic update, but, most importantly, I love how you guys stayed true to the originals' gameplay. CRASH TEAM RACING Remaster Plus NEEDS to happen. What I’m seeing so far for the N. Sane Trilogy is exactly what I imagined for a PROPER and FAITHFUL Crash remaster, which I’m no question buying DAY ONE. Please do the same for 1999’s Crash Team Racing. This is a beloved gem of mine to my family and having this game given a modern shine (plus online!) would be a dream come true. To this day we still play 3-4 players and I can imagine that we will do it for generations to come with a remaster fir CTR. OMFG!!!!!!!!!! I can’t believe ma eyes,I had tears of joy while watching that trailer.I thought this would simply be the original 3 games as they are with PS1 graphics but miraculously in 1080p playable on PS4,I cannot believe you guys are truly “remastering” them,holy crap it looks gorgeous.I cannot believe you guys are using all the original things…original designs of characters,original geometry,I literally thought this was impossible to happen in this reality,cuz all devs to this day messed up in remastering old games,they always change things and mess up…but you guys are like,its like y’all read ma mind and made exactly what I wanted.This is a true “remaster” and every single dev out there that wants to remaster something should learn from this. I’m a huge Crash fan but HUGE huge fan,I have memories with Crash that means a lot to me so I’m really really happy to see this…so much that I can’t believe its happening. Day 1 buy and please retail release. BTW Vicarious Visions is about to enter to the top 10 best devs,Seriously what you guys are accomplishing here deserves some serious recognition. Well Insomniac called Ratchet and Clank 2016 a “re-imagining,” so. I wonder if they’ll be available separately. Absolutely beautiful. There are so many ways that this could’ve gone wrong, but I see you’ve pretty much avoided all of them. Many devs would’ve strayed so far from the Naughty Dog games because they think they could improve upon perfection. You guys stuck to the roots of Crash, and I’m frankly amazed that you did. The make or break (buy or don’t buy) factor for me though was the characters, and Crash finally looks and acts like Crash should look and act. 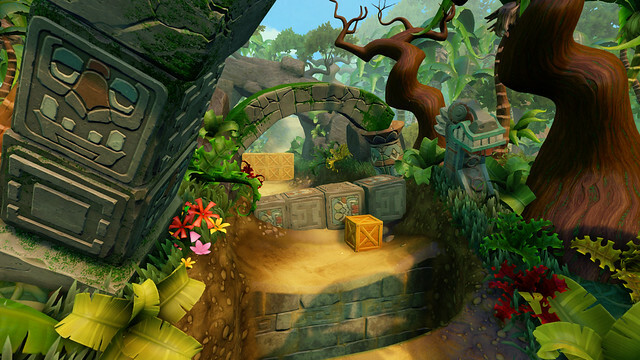 Cortex and Brio are also captured perfectly. I’m glad you guys seem to have as much affection for the classics as I do. So glad you didn’t use the Skylanders model. Wut up with N Tropy’s face doe? Holly… This looks stunning. I even went further to make an account to tell you guys this. I’m Buying a PS4 just for this game. I think the team behind Vicarious Visions have a great sense of what the fans wanted with this remake: To preserve te original escence of the games and at the same time adding feats that doesn’t affect the original gameplay at all (the new time trial for example). I also loved that you guys decided to make a crash bandicoot render that is more close to the original than the Skylanders version. So I’m really happy with this, I’m looking forward to get a Collector’s edition or something if you guys decide to make it and I really, really pray to get the same treatment for the BEST kart game of all time: CRASH TEAM RACING and to the original trilogy of Spyro. This would have been great on Vita, indeed.